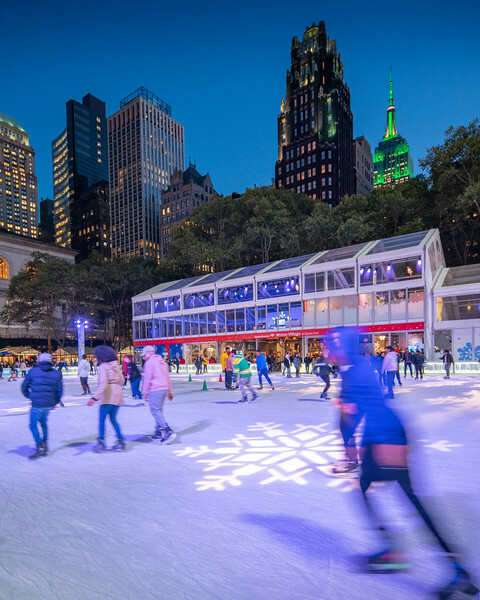 Skaters in Bryant Park with the Empire State Building in green in the background. Taken during the blue hour. The New York Public Library is on the left.